Scientists at the U.S. Army Research Laboratory and the Johns Hopkins University Applied Physics Laboratory have developed software to ensure that if a robot falls, it can get itself back up, meaning future military robots will be less reliant on their Soldier handlers. [dropcap style=”font-size: 60px; color: #9b9b9b;”]B[/dropcap]ased on feedback from Soldiers at an Army training course, ARL researcher Dr. Chad Kessens began to develop software to analyze whether any given robot could get itself “back on its feet” from any overturned orientation. Researchers from Navy PMS-408 (Expeditionary Missions) and its technical arm, the Indian Head Explosive Ordnance Disposal Technology Division, agree. 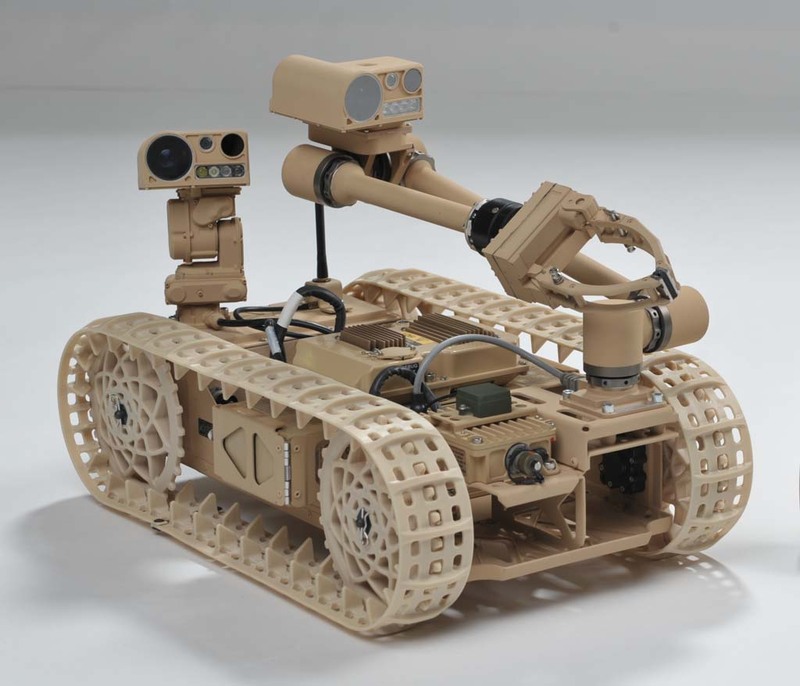 They teamed up with JHU/APL and the prime contractor, Northrop Grumman Remotec, to develop the Advanced Explosive Ordnance Disposal Robotic System, or AEODRS, a new family of EOD robotic systems featuring a modular opens systems architecture. A lightweight backpackable platform, which is increment one of the program, is expected to move into production later this year. One critical requirement of the program is that the robots must be capable of self-righting. To evaluate the AEODRS system’s ability to self-right, JHU/APL teamed up with ARL to leverage the software Kessens developed. The team was able to extend its ability to robots with a greater number of joints (or degrees of freedom) due to JHU/APL researcher Galen Mullins’ expertise in adaptive sampling techniques. Ultimately, the team was able to evaluate the AEODRS systems’ eight degrees of freedom and determined it can right itself on level ground no matter what initial state it finds itself in. The analysis also generates motion plans showing how the robot can reorient itself. The team’s findings can be found in “Evaluating Robot Self-Righting Capabilities using Adaptive Sampling,” set to be published in IEEE’s Robotics and Automation Letters in August. Beyond the evaluation of any one specific robot, Kessens sees the analysis framework as important to the military’s ability to compare robots from different vendors and select the best one for purchasing.